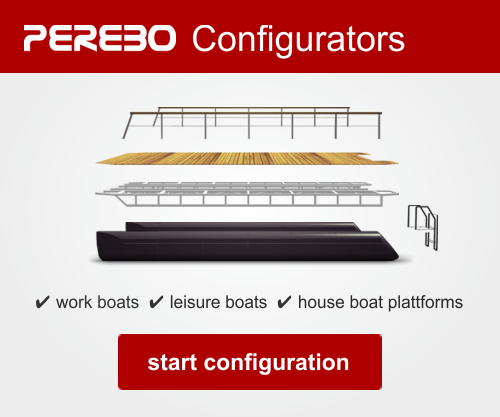 Welcome to PEREBO, your provider for various individual pontoons and flexible floating systems. We are your partner for projects to take place in or on the water. Through individual solutions, we can bring virtually everything to float – Convince yourself and view our big product range. Of course we also advise you, if you like. Please contact us without obligation and use for it our contact form. The larger the project, the higher the requirements for planning and development. For this reason, we are not satisfied with just providing you with individual pontoons or floating systems. At any time, you may rely on the expertise of our experienced engineers who will help you with your project. Of course, our offers are valid global. 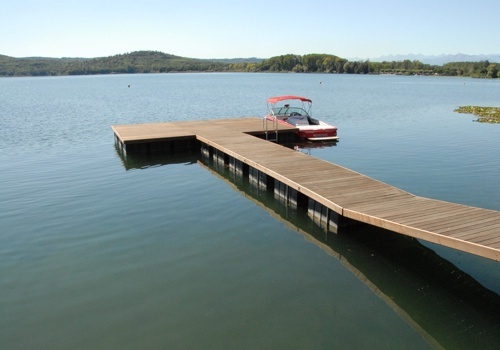 You can easily book the desired single pontoons, floating systems or other products and we guarantee to support your project up to the completion date. Even major orders aren’t a barrier for us. We have the logistical means to realize events on the water global. 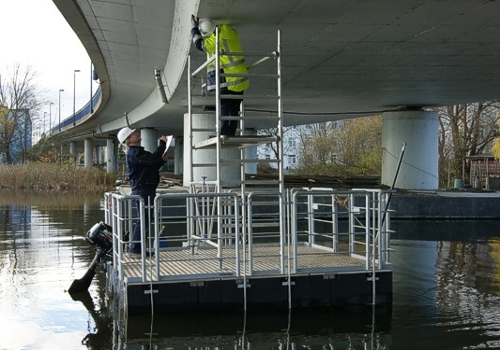 In addition to the extremely practical pontoons made of polyethylene, we also offer connectebale steel pontoons if heavy works on water are planned. 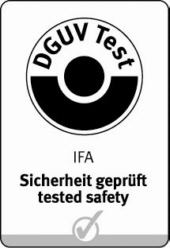 Our products are exclusively manufactured in Germany and are characterized by their high flexibility. The floating systems may be combined in various ways. Just use one of our configurators to compile your pontoon boat, houseboat platform, floating jetty or floating platform and you will get an idea of the endless possibilities. Of course, you can also contact us by telephone if you have any questions or if you need help. Customer satisfaction and an effective value for your money are top priority for us. The right choise of a standard solution of a floating system doesen't take a high effort – to most products diverse equipment details (railing, engine, etc.) can be added easily. Custom-builts usually need some more time. But through expert advice and planning PEREBO tries to minimize the expenditure of time as much as possible. 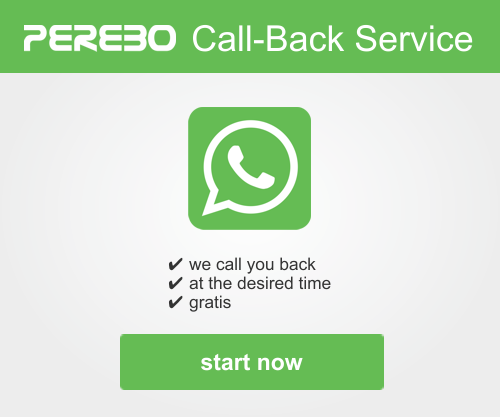 With PEREBO as a partner your project will be a full success. Companies like BASF, AUDI or AIRBUS could already be convinced themselves of this. 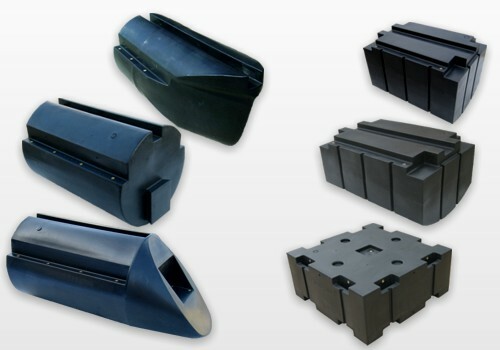 Are you looking for plastic pontoons in different sizes? We provide you work boats with scaffolding or mini crane. 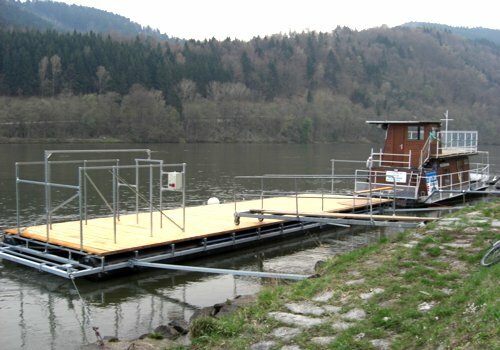 Do you need a modular mountable floating platform for temporary or permanent use? We design and deliver floating jetties in accordance with your ideas and wishes. 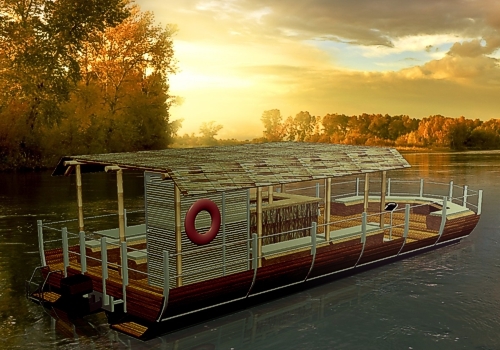 We offer you specially designed leisure and party boats. 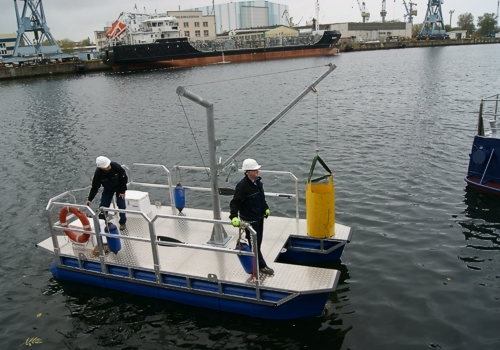 Use our modular plastic floats to build of different work pontoons. 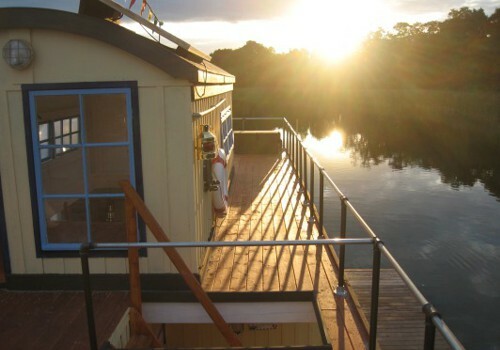 Are you interested in a modern or rustic-designed floating house or houseboat? 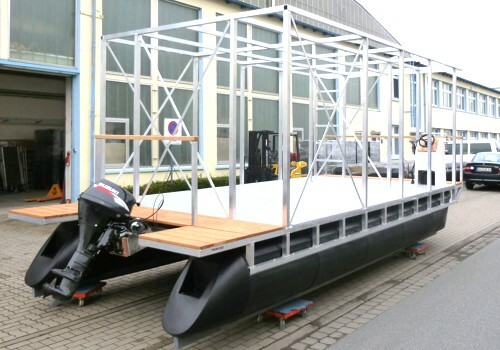 Do you need coupleable steel pontoons to build a floating work platform? Are you looking for a DIY pontoon kit to build your own pontoon boat or houseboat? 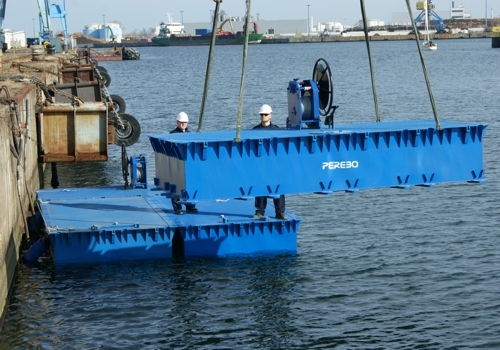 Perebo develops, designs and builds floating systems, unique and innovative in design and combines therein architecture, engineering, research and development. So there is no interfaces-losses in complex planning. We find the balance between time, quality and cost, the parameters of any project..
All PEREBO products are safety tested and CE certified. PEREBO work boats are DGUV tested.